Talking about the CFL: Hey, don’t stop reading! With Grey Cup CII upon us, I thought this week I’d write something about the venerable old Canadian Football League, even though I know I risk losing most of my readership. I could drop to single digits here, from my usual double. I’m an unapologetic fan of the CFL, and have been for years and years, through thick and (more often than not) thin. 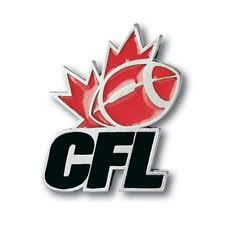 I know that most people, whether you’re a sports fan or not, don’t care about the CFL. And after the season the league has just offered up, it’s harder than ever to defend the old league. Even the most dedicated fan of the three-down game will have to admit that the 2014 Canadian Football League season was a bust. This should have been a banner year for the CFL. Ottawa unveiled a new stadium and a new team. Winnipeg’s stadium still has that new stadium smell to it. Hamilton finally moved into its new digs, after the longest series of construction delays in history (lesson to everyone: construction NEVER finishes on time). It was shaping up to be the year when a crop of new quarterbacks made their mark on the league. But it seemed everything went wrong. Important players fell like dominos this year. Defences dominated, so much so that we saw a number of no-touchdown games, unheard of in the score happy league. Referees decided that they knew more about the game than the players, making games unwatchable. Most worrisome is the number of fans in the stands. 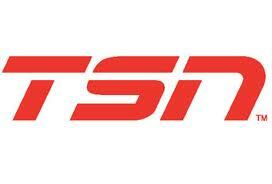 The CFL is still, despite the healthy TSN contract, a gate-driven league. Average attendance is down, and attendance in Toronto wasn’t worthy of the word. Crowds were weak in Montreal and Edmonton for the playoffs — playoffs, for crying out loud! A lot of what went wrong in the CFL this year could be attributed to just having a bad year. Some of the problems can be fixed (better referees, bringing in Americans if we have to), improved TV production (I ask again, TSN, why no super slow-motion? And please, no more Rod Black and Glenn Suitor), and just better luck. But a poll released this week confirms the most worrisome CFL concern, one that may not be fixable. An Angus Reid poll of about 1,500 Canadians found 24 per cent of respondents said they planned on watching the Grey Cup, which is good. It also found that the CFL was the second most followed pro sport in the country, slightly ahead of Major League Baseball and even the NFL. But here’s where it gets disturbing. When asked if they had to choose between watching either the Grey Cup or the Super Bowl, a huge generation gap emerges. Sixty-one per cent of people 55 and over chose the Grey Cup, while 65 per cent of those 18-34 chose the Super Bowl. This is a problem. Older Canadians have an affection for the Grey Cup and the CFL, while younger Canadians are lured to the behemoth that is the NFL. Quite a number of years ago, the CFL would have been the unquestioned favourite of almost all Canadians. There was even a time, long long ago, when the CFL could and did bid for important players who came to Canada because they could make more money here. Not any more, obviously. My concern is that younger Canadians have been permanently drawn into the orbit of the NFL. I still don’t believe the American style of football is superior to the Canadian brand, but there is no question that the televised product leaves Canadian football looking like a 97 lb. weakling. Also, the NFL is the most valuable sports league in the world — Forbes magazine says the average value of an NFL team is $1.43 billion — and a Canadian product competing against the world’s no. 1 sports behemoth can’t win. It’s a corner store versus Wal-Mart. First, make it one division. The old east-west rivalry thing doesn’t hold much sway anymore. That was the old Canada, where the west (as a country, not a league) was weaker. Now that western Canada is the economic engine of the country, national rivalries don’t exist anymore. Scrap the two divisions, and force the weaker eastern teams to field better teams. Second, I would move the season up, way up, to avoid competing with the NFL as much as possible. Start the season in June, or even late May, to wrap up the season in late October. Better weather for the playoffs ensured (if the Grey Cup were in Edmonton this year, it would be a frigid fiasco), and the league would stay as far away as possible from NFL competition. Third, get the Argonauts out of the Skydome, or whatever they call it now. They averaged about 16,000 fans this year, a disgrace for the biggest city in the country. Admit the most they will draw on any weekend is 25,000, and find them a place that works. And fourth, get a team in Atlantic Canada. Do whatever it takes. Now that I have solved all the problems of the Canadian Football League, I will pull up my rocking chair and watch with the rest of the old fogies in the country as the Stampeders destroy the Tiger Cats on Sunday. Woe Canada: When the CFL tried to conquer the USA. A book review. Considering how long the venerable Canadian Football League has been around, remarkably little has been written about its turbulent history. That lack of information makes End Zones & Border Wars all that much more of a delight for fans of the seemingly indestructible league. End Zones & Border Wars, by Vancouver Province sportswriter Ed Willes, chronicles a time, from the late 1980s into the mid-190s, when the CFL was teetering on the abyss. Ottawa went bust, as did Montreal. The B.C. Lions were in perpetual ownership chaos (the league had to run the team for a while). The Winnipeg Blue Bombers were $3 million in debt, and the Calgary Stampeders held a Save Our Stamps campaign in 1986. Toronto was a mess (some things never change). But in the early 1990s, the CFL and some of its owners (a disreputable group that included names notorious to CFL fans, names like Ryckman, Glieberman, Pezim, and Skalbania) came up with a scheme to save the league with an infusion of cash, via American expansion. The CFL had grand plans to expand into cities that didn’t have NFL franchises, with the dream of becoming a second major football league in the U.S.
As football fans know, it was a colossal fiasco. There were some successes (the Baltimore franchise appeared in two Grey Cup games in their two years, winning one, eventually morphing into the present-day Montreal Alouettes), but the good never came close to outweighing the bad. As Willes describes in loving and often hilarious detail, the American franchises were mostly owned by seriously undercapitalized sharpies who talked a good game, but did not deliver. The old World Hockey Association had its chaotic moments, but the CFL might have topped them all. The Las Vegas Posse practiced in the Riviera Hotel parking lot; the Shreveport Pirates billeted their players above a barn full of circus animals. Games would be played in 50,000-seat building with 5,000 fans in the stands. And our course, there was the unforgettable performance of O Canada at the Posse’s first home game, a moment of ineptitude that summed up the CFL expansion experience in one song. CFL fans will gobble up Willes’ fact and anecdote filled book. I have a few quibbles, however. Willes spends far too much time on the epic 1994 B.C.-Baltimore Grey Cup game. Yes, it was a great game, but his lengthy dissection of the game takes away the book’s momentum. The photos are a seemingly random collection of game pictures (a dozen from the ‘94 Grey Cup game alone), there are no graphics of the team logos of the failed American teams, or even the season standings. Otherwise, End Zones & Border Wars is required reading for fans of the beloved old league, a vivid retelling of the time when the CFL was in a seemingly permanent state of being third down and 30 yards to go. End Zone & Border Wars is published by Harbour Publishing. An Edmontonian’s guide to who (whom?) to pull for in the 100th Grey Cup. So it’s come to this … the nightmare Grey Cup. Calgary versus Toronto. The Centre of the Universe versus The Centre of the New Universe. Old school snobbishness versus new school arrogance. Ugly and uglier. As an Edmontonian and an Eskimo fan, today’s 100th Grey Cup could only be made worse if somehow the Toronto Maple Leafs has found a way to weasel into the game. I’m excited about the potential for the game, but sickened at the match up. I’m truly torn. My best-case scenario is a double loss, with neither team being declared the winner. I realize that the odds of a double loss are, what, maybe 50-1? So I’m bracing myself for the certainty that one of my two most hated cities/teams/ideologies will win Earl Grey’s “battered old mug” (sorry, just had to use that cliché). I know many Edmontonians find themselves in the same boat, so let’s take a look at both teams, and see if we can find a squad to “support” today. Pros: Good for the league if TO wins, and everything in the CFL is about what’s good for the league. I like Chad Owens, and I’m a bigger Ricky Ray fan now than I was in his last couple of years here. And beating Calgary is sweet, even if it takes Toronto to do it. Cons: Team with such terrible fan support doesn’t deserve a championship. “World class” city won’t appreciate the trophy. I am much enjoying Toronto’s decades of ineptitude in all sports — baseball, hockey, basketball, soccer and football — and I really don’t want to see that end. So you see my problem. With both teams representing cities I am genetically predisposed to dislike, the tipping point comes down to players. And as you have read, I like players on both teams (Calgary storylines are better), and have no great dislike for anyone. So, incredibly, it comes down to which team has players I like the best. Calgary has more players to watch and like, but I love the Ricky Ray story. Cast aside by the Eskimos in one of the great shock trades in Edmonton history (I recall some guy named Wayne getting traded by the Oilers a few years back), Ray winning a Grey Cup would be strangely satisfying. I’m an Eskimo fan — always have been, always will — but the team’s recent decent into mediocrity, coupled with its very un-Eskimo like front office fiascos, makes me want to see the organization get a good ‘smarten up’ kick upside the head, even with the creepy Eric Tillman gone. So, that leaves me with one choice. With great reluctance, I will be cheering — very quietly — for Toronto.